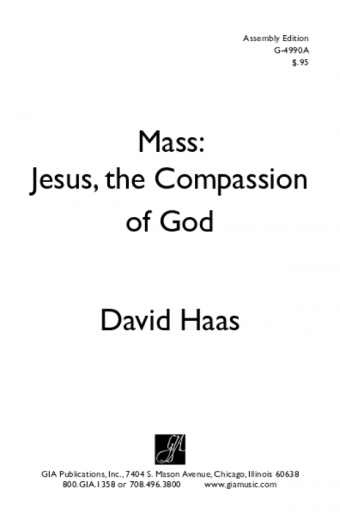 Jesus the Compassion of God is a complete musical setting of the Mass, utilizing musical treatments of the "ordinary" of the liturgy, with musical settings of other ritual moments that have become normative in the liturgy. Those ritual moments include music for the Liturgy of the Word with Children, music for the dismissal of catechumens and candidates for Christian Initiation, Intercessions, final blessing, and music to send forth eucharistic ministers to take the Eucharist to the sick and homebound. This Mass uses repetitive musical material to enhance the participation of the assembly and provide unity throughout the service. 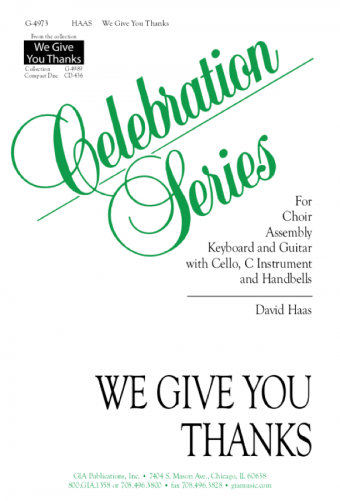 This Mass is equally accessible for traditional choirs, contemporary or "folk" ensembles, and/or a combination of both. Jesus the Compasssion of Godis featured on the recording,We Give You Thanks(CD-436) which includes the entire Mass, plus other music for Eucharist not included in this musical score.